On World Book Day (3rd March) St. Luke's is launching a social networking campaign on behalf of RNIB to highlight the acute shortage of books accessible to blind and partially sighted people, especially children. 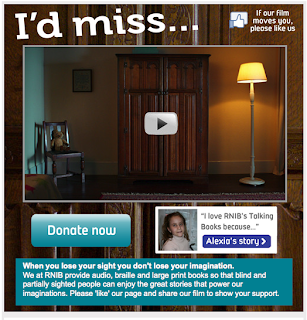 A film that will be seeded via RNIB’s YouTube channel invites people to spread the word about this problem and support RNIB’s cause via their social networks. 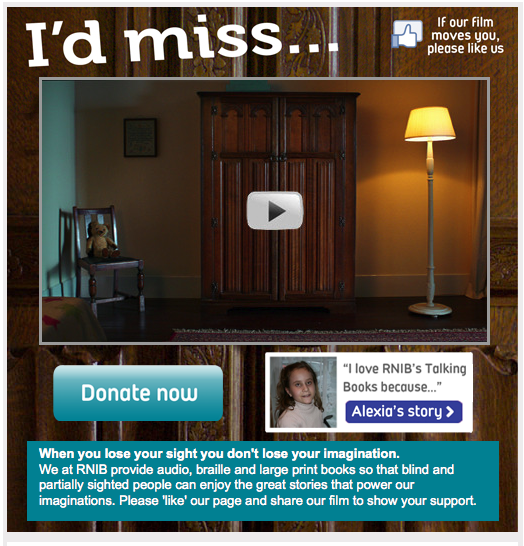 Then by ‘liking’ RNIB and posting their favourite childhood stories on Facebook and Twitter, supporters will help to boost RNIB’s profile online. Click facebook.com/rnibuk to get involved.